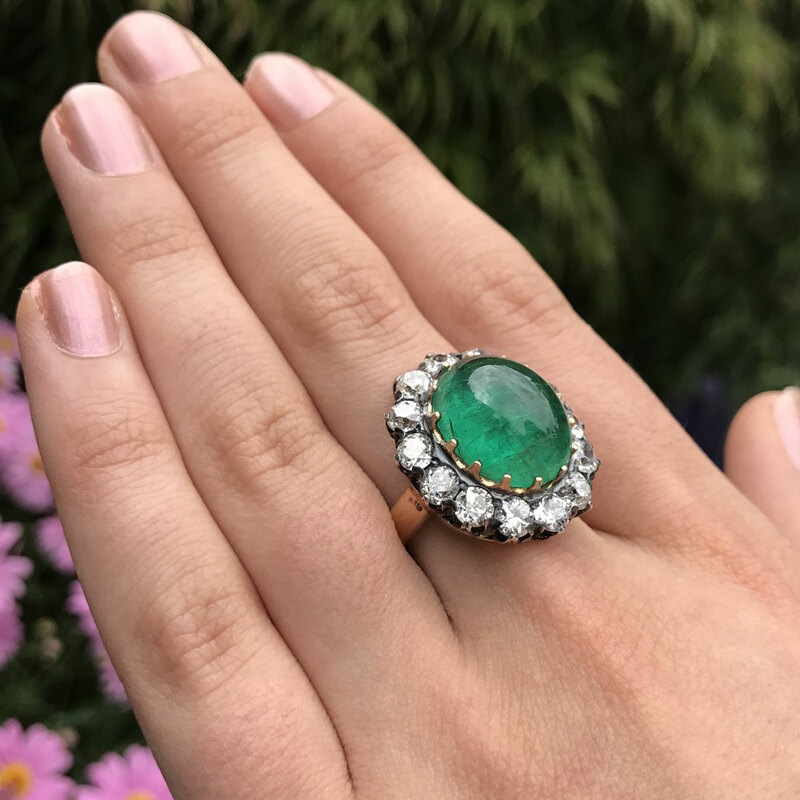 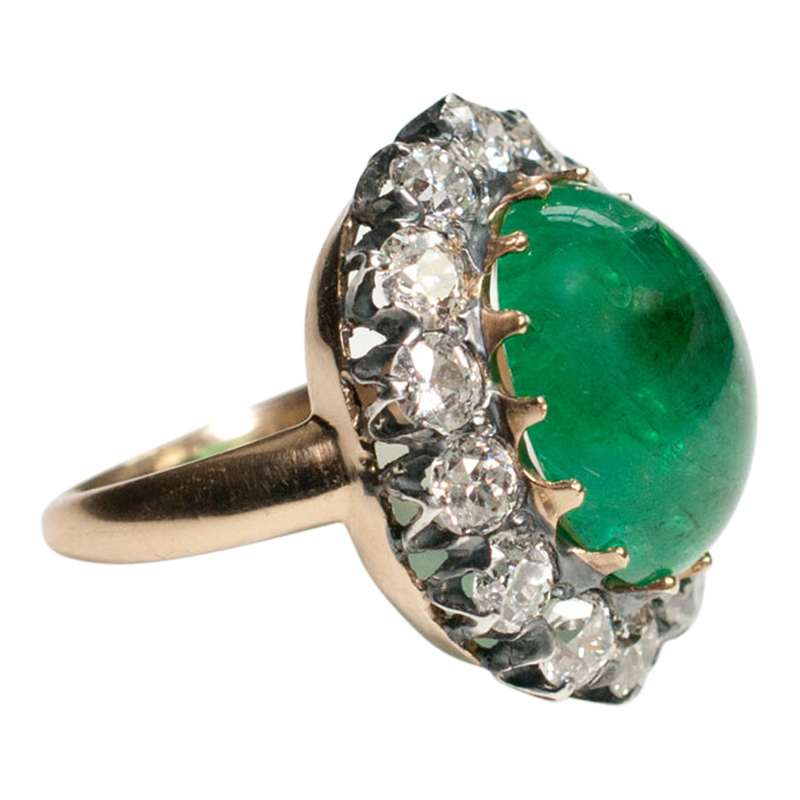 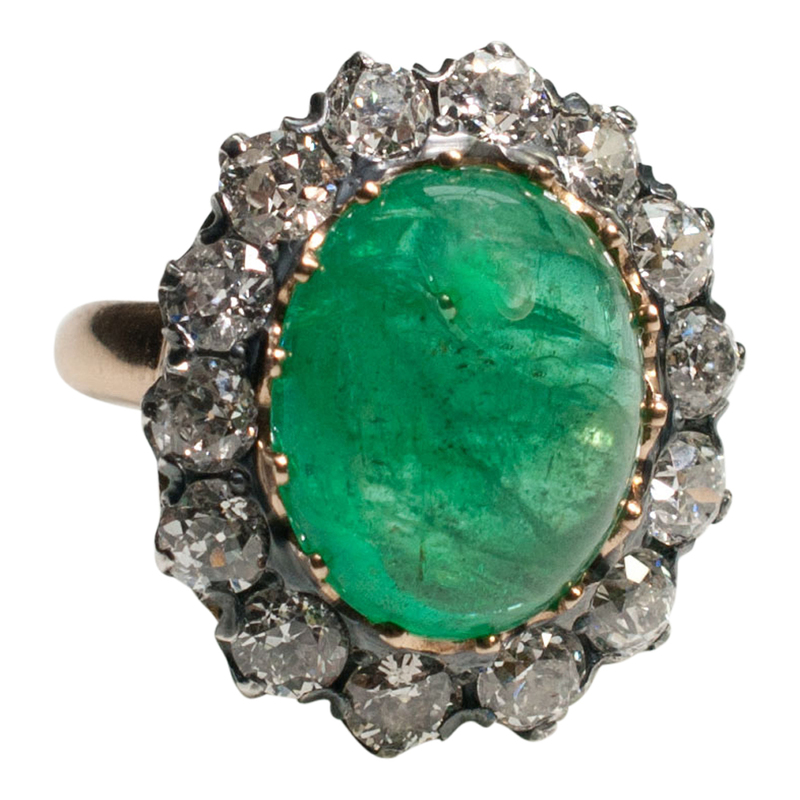 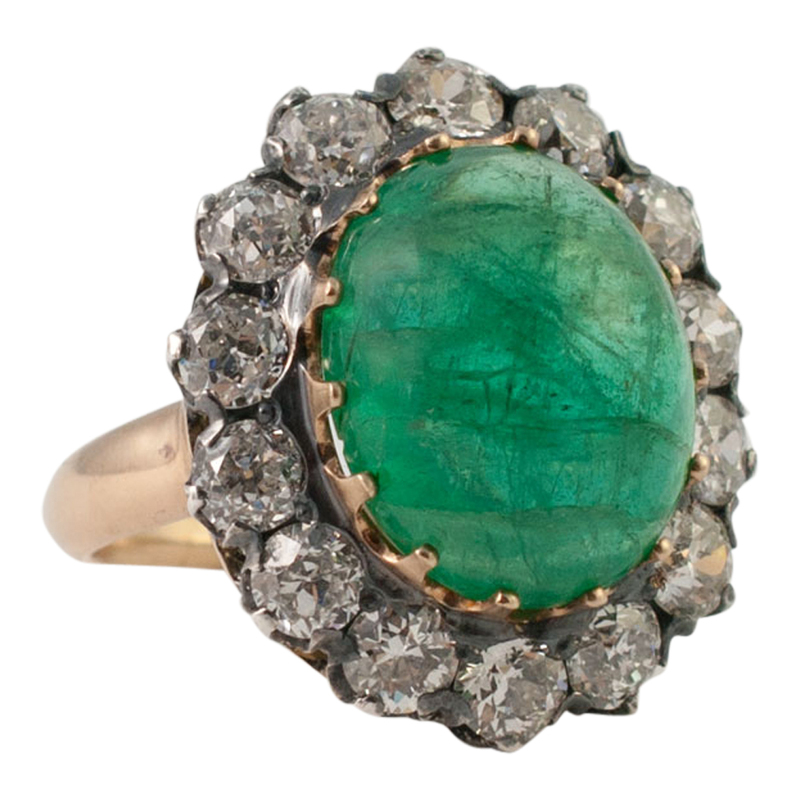 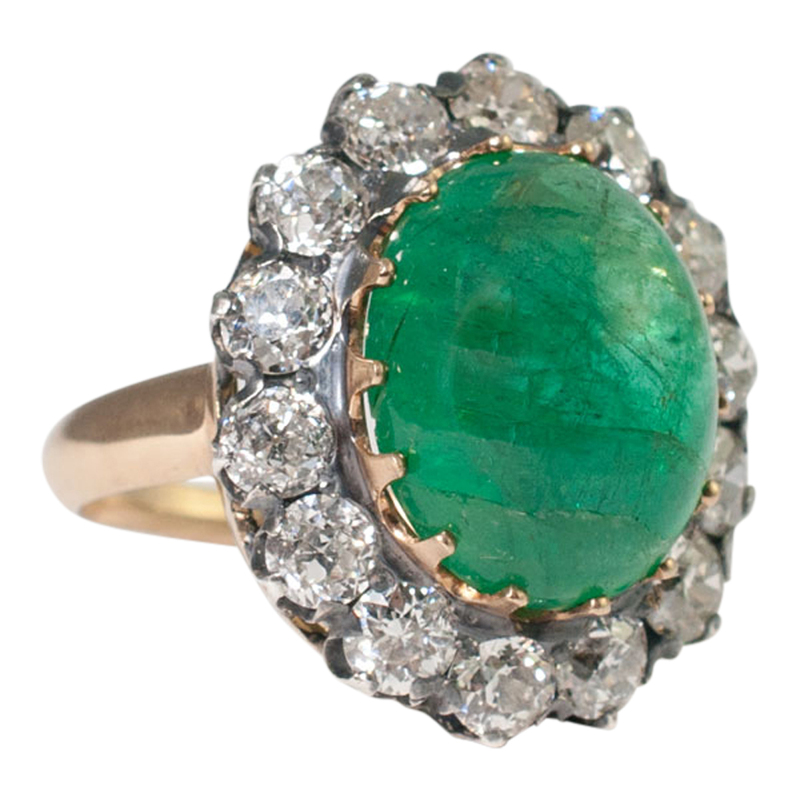 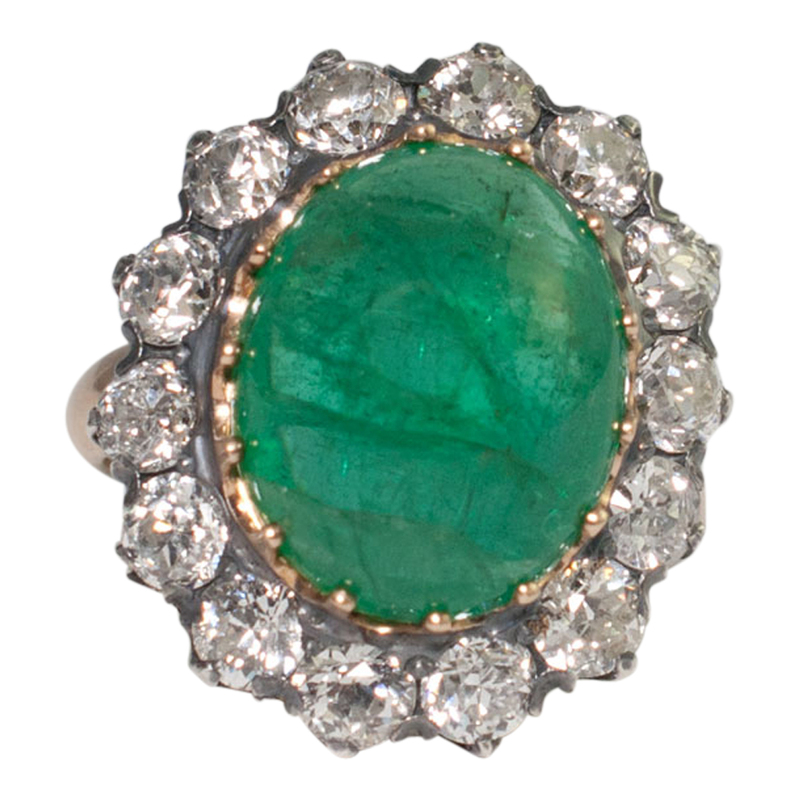 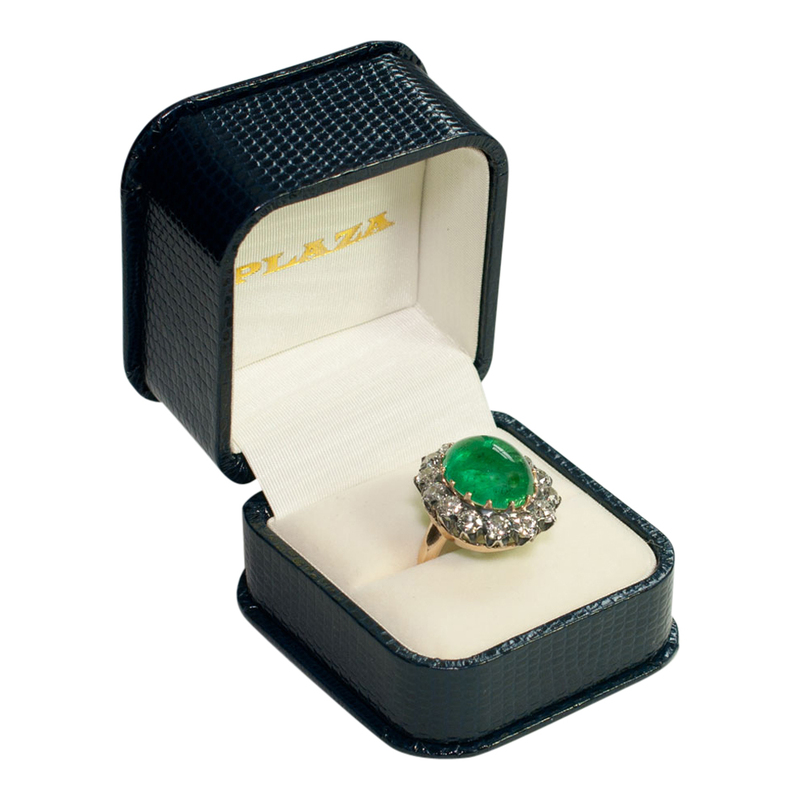 Large Victorian cabochon emerald and diamond ring set with a 10ct emerald surrounded by 14 Old European cut diamonds totalling 2.80ct. 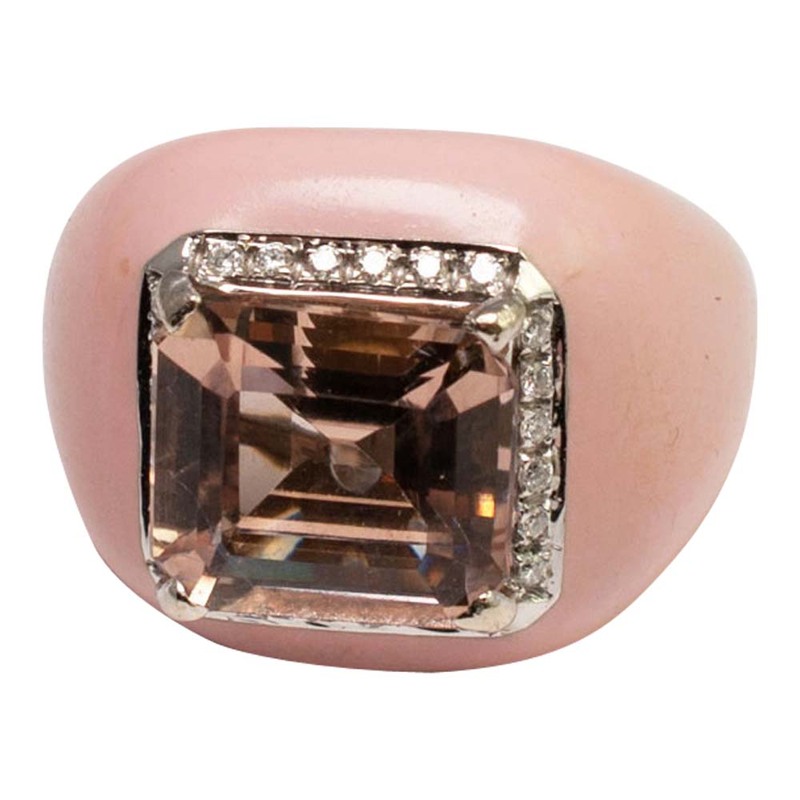 Weight 9.3gms. 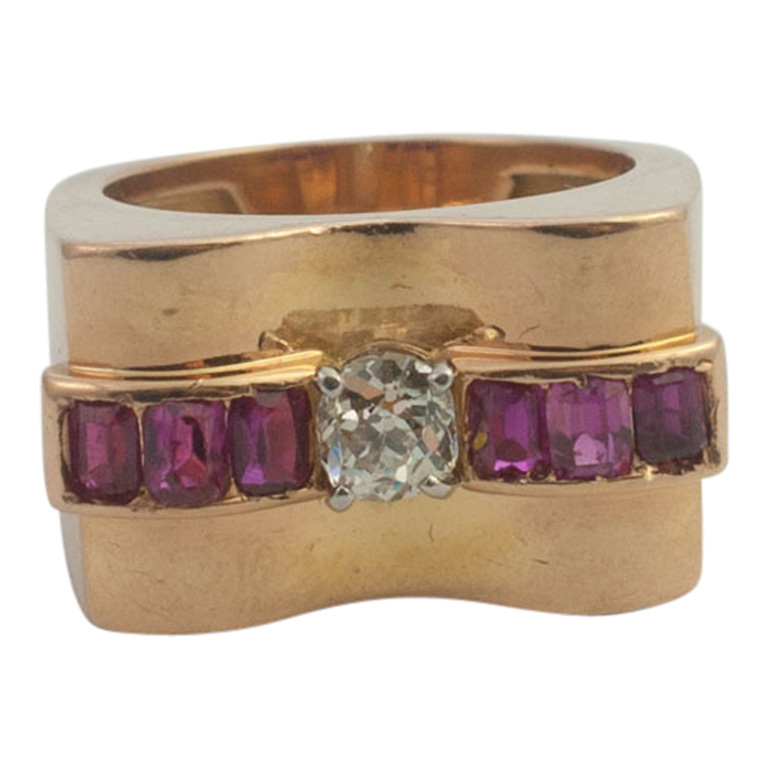 The diamonds are set in silver as was customary at the time and the mount tests as 18ct gold. 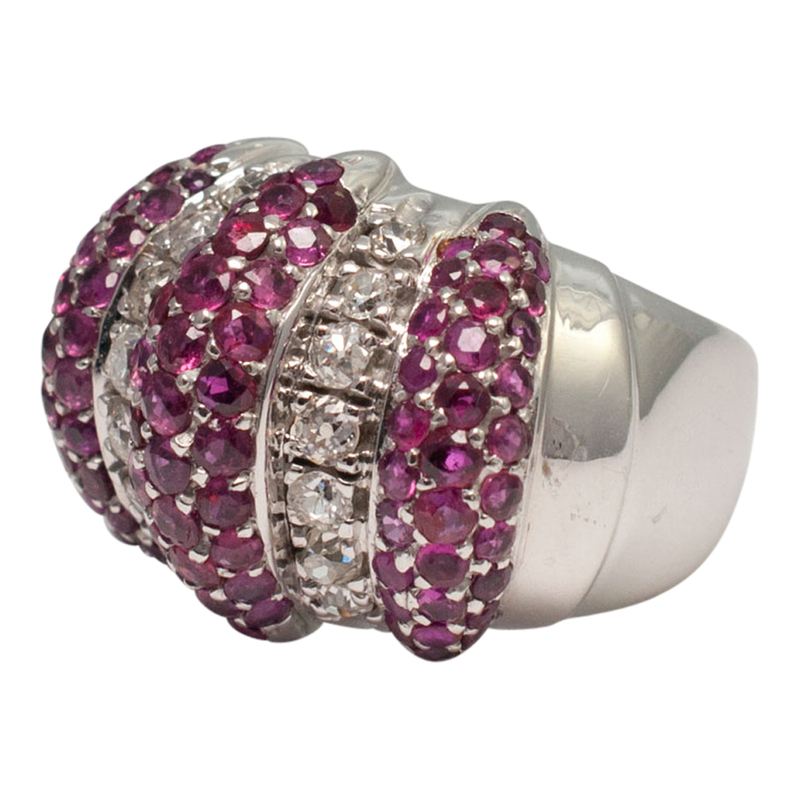 Finger size N1/2 (UK), 7.25 (US), 54.5 (EU). 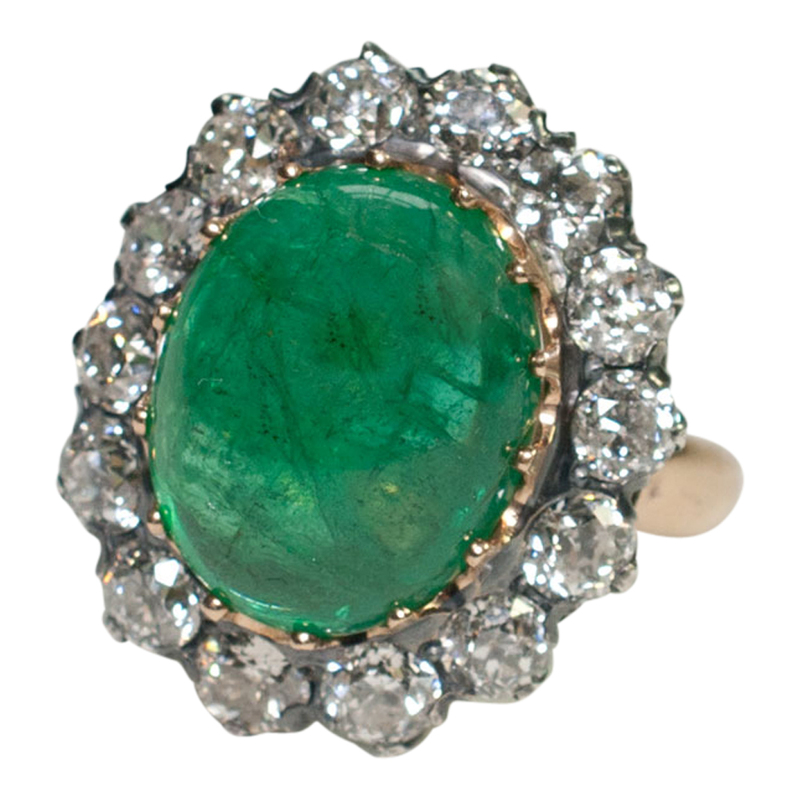 C.1890s. 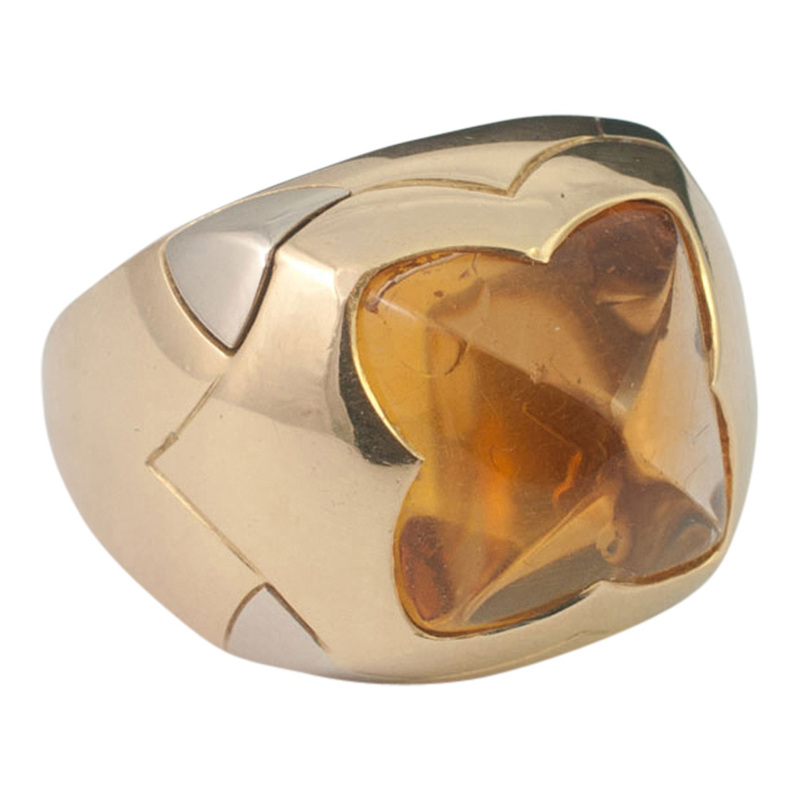 This ring is in good condition with wear consistant with age and use. 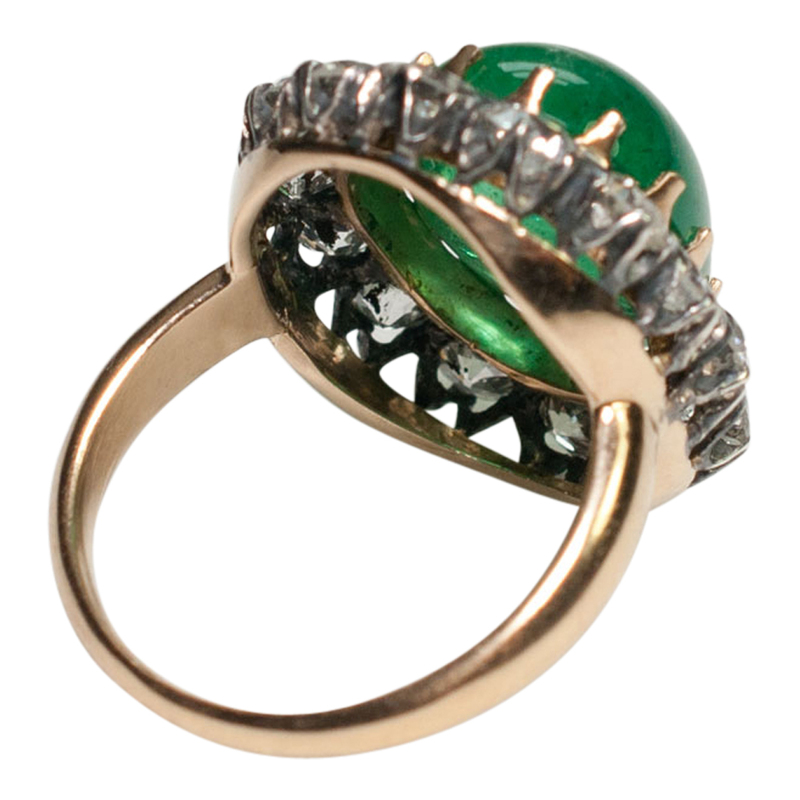 Click below to see a video of this lovely ring.